Yummy smelling candles are one of my favourite things in life! 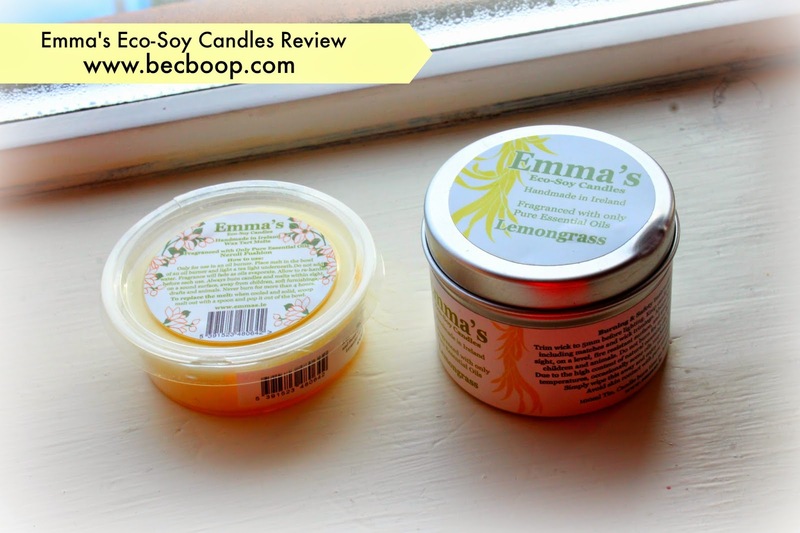 Especially now that I work from home occasionally, I have the opportunity to have lots of nice smelling candles in my home office 🙂 I came across Emma’s Eco-Soy Candles on the #Irishbizparty Twitter chat recently and she kindly sent me two of their products to review. I am not exaggerating when I say I could smell these candles before I even opened the packaging! 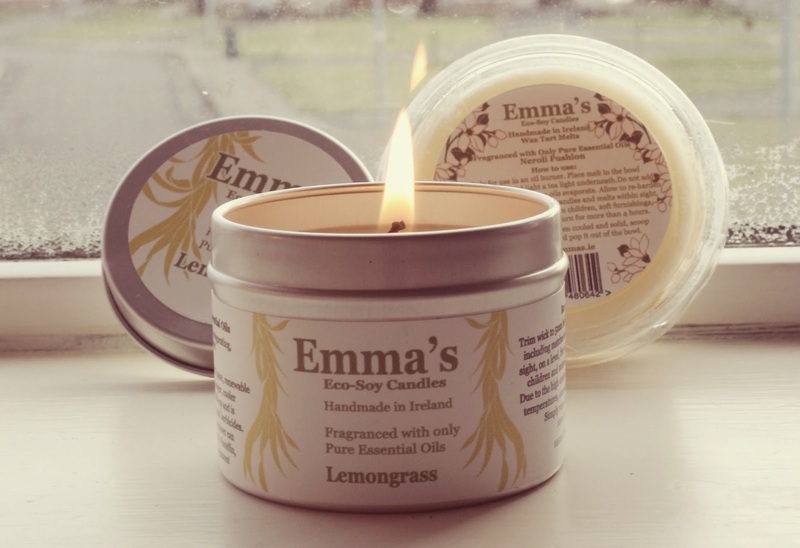 Emma’s Eco-Soy Candles are all-natural candles, made in Ireland which are fragranced with only pure essential oils. They are considered the healthy candle alternative as they contain no paraffin, parabens or artificial dye. The fact that they are made from soy wax also means that the candles will burn for longer which is a plus. 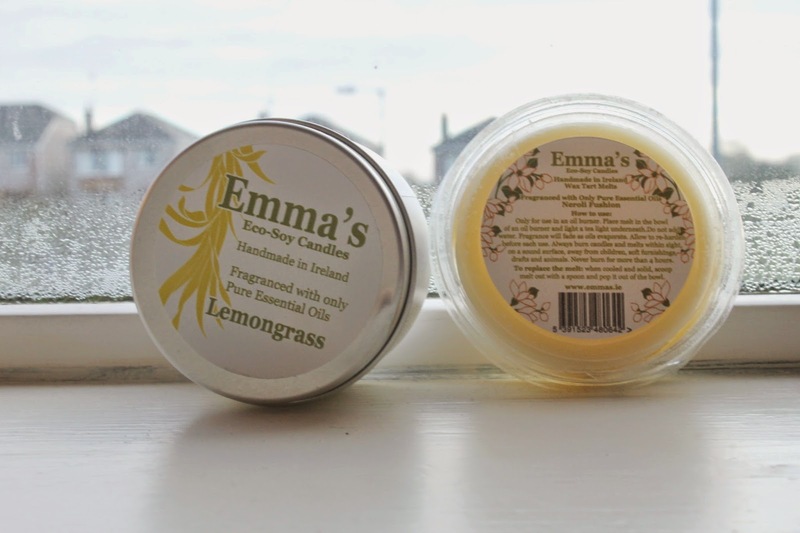 I received the Lemongrass 20 hour tin candle along with Neroli Fusion Wax Tart Melt. This can be used as an oil burner. I love love love the freshness of the lemongrass candle. It is such an energising and invigorating fragrance and completely freshens up a room. Complementing this is the wax tart melt in Neroli Fusion. This is a blend of light and precious Neroli Blossom and Sweet Orange Oils with a touch of musk lavender. I’d love to hear from you in the comments below. Have you tried this candle range before or any similar candle range? What were your thoughts?